The wild west: Colm Boyle, Lee Keegan and Aidan O'Shea explore the wonders of Mayo in the latest Mayo.ie tourism video. 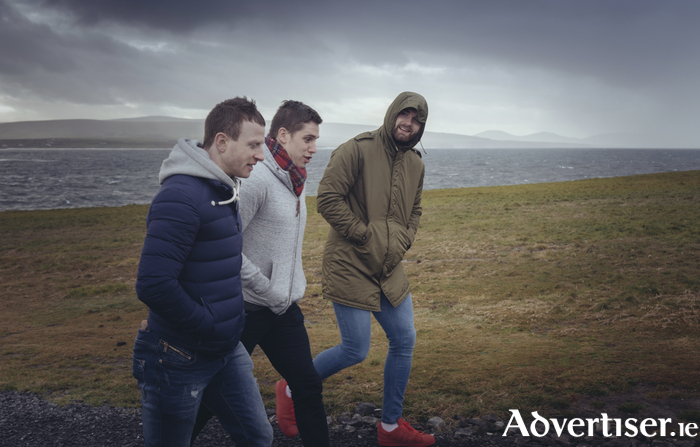 Mayo Gaelic footballers Aidan O’Shea, Lee Keegan, and Colm Boyle feature in a new tourism video released online this week. The video follows the players as they embark on a road trip along the Wild Atlantic Way in Mayo. It is the second production in the Wild Mayo series of five tourism films, commissioned by Mayo.ie In the film, the three men revisit Belmullet, the location of a memorable training camp as part of the Mayo senior football team. They discuss their past experiences and visit some old familiar faces along the way. Behind the scenes creative video agency Cut Media made the film for Mayo.ie The Glasgow company has produced viral content in the past and has worked in locations across the world. Discussing the video Scott Marshall of Cut Media commented: “It was amazing to witness the pride the local people showed to Aidan, Lee and Colm on our visit, and their passion for County Mayo itself. I can safely say the welcome we received is pretty unique to Mayo and this part of the world. That definitely comes through in the film.” Mayo.ie has commissioned the film series to highlight the variety of experiences available to holidaymakers in Mayo. Tourism is a growing sector in the county and Mayo consistently ranks highly in national visitor statistics. The first video in the Wild Mayo series told the story of Francois Colussi, who moved to Mayo from France 10 years ago to pursue his kitesurfing passion. That film has since reached more than 147,000 views on YouTube. To view the current film see MayoDotIE on YouTube. To get involved with the conversation online people can use #WildMayo and follow Mayo.ie on Facebook and Twitter for updates.